I’m so happy you’ve decided to stop by and check out the digital products I’ve created to help you grow a successful and profitable online business. I offer a variety of online business courses and eBooks to help moms make money from home. 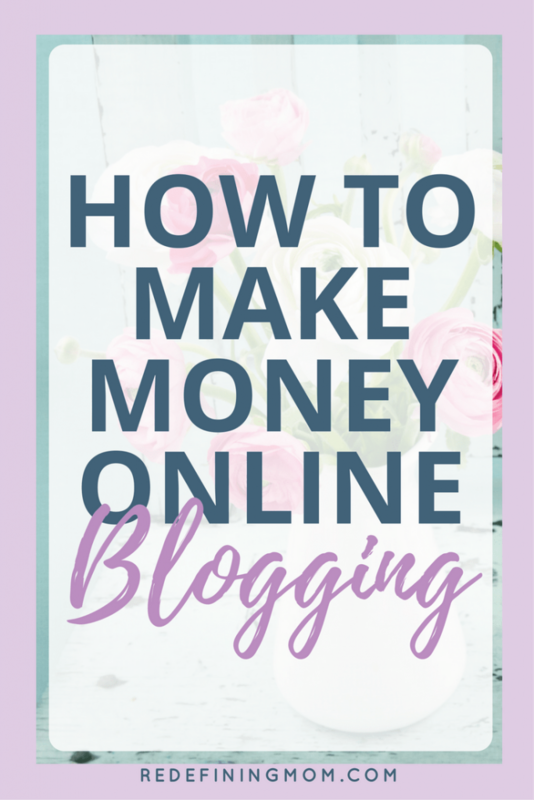 The exact steps you need to take to start a blog and make money blogging from home. Busy Moms Building shows moms how to build a thriving online business. 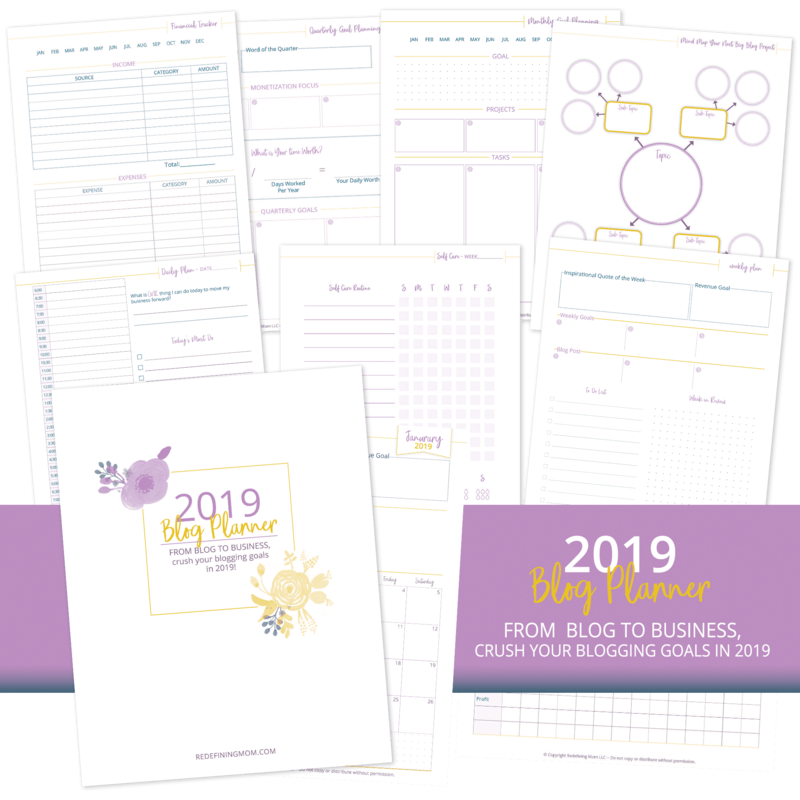 From blog to business, crush your 2019 income goals with my favorite planner! A no b.s. 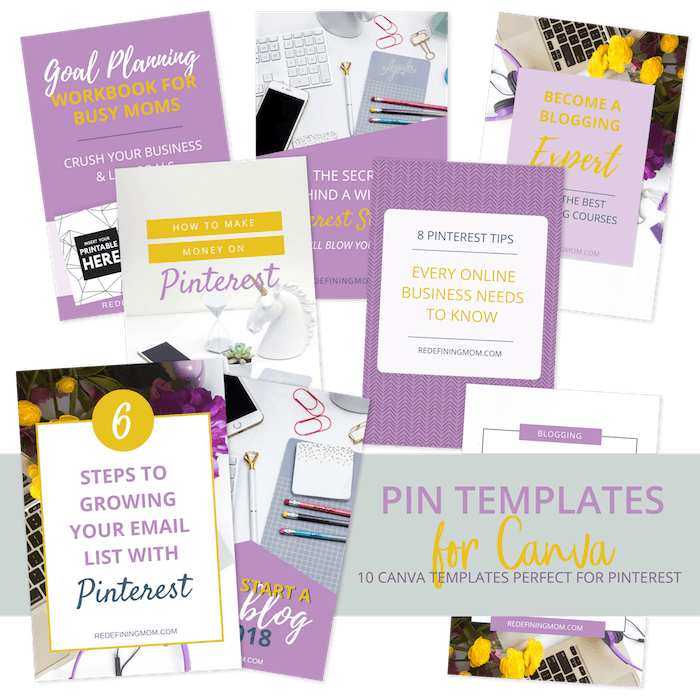 step-by-step guide to building a thriving Pinterest presence. 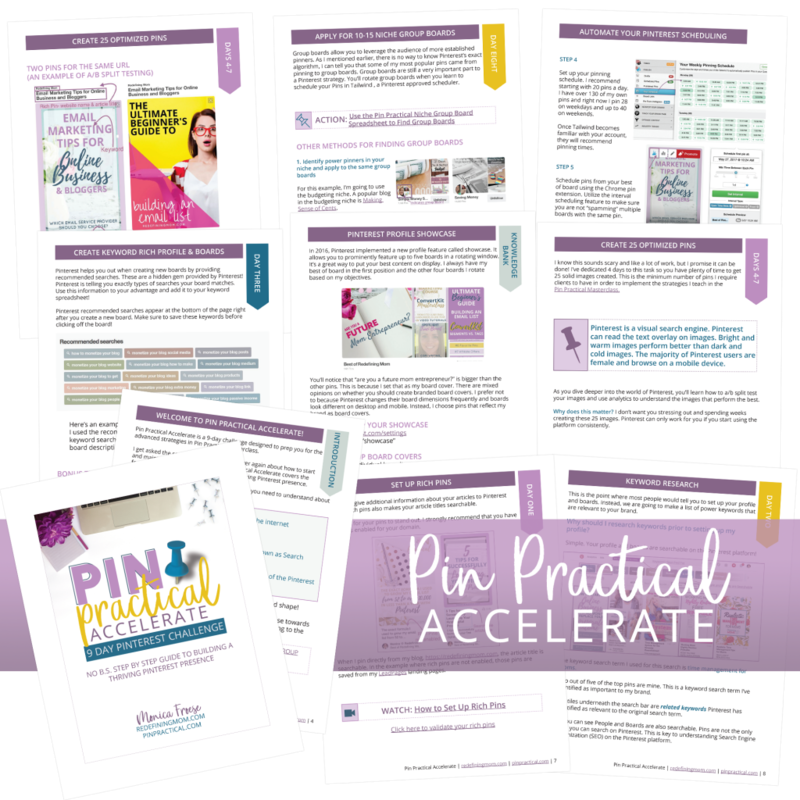 Pin Practical Accelerate is a straight-forward guide and the perfect primer for building your brand on Pinterest. 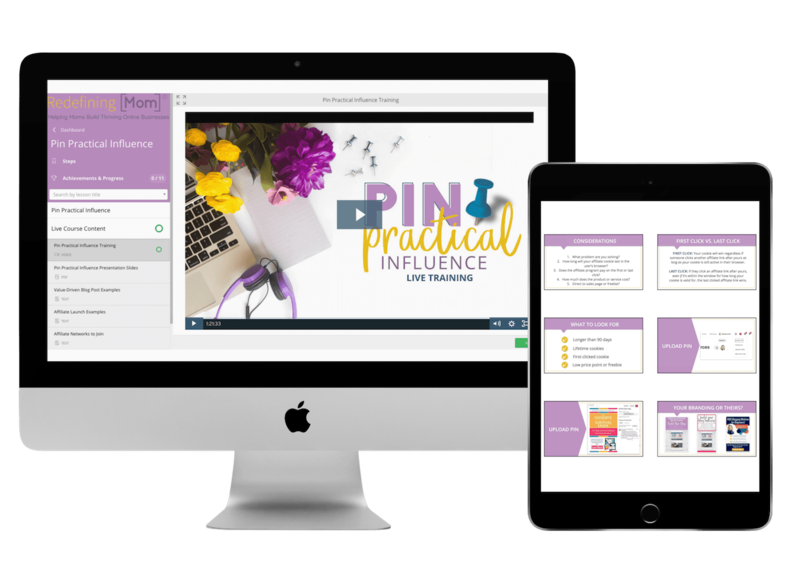 In Pin Practical Masterclass, you’ll learn how to convert free Pinterest traffic into email subscribers. 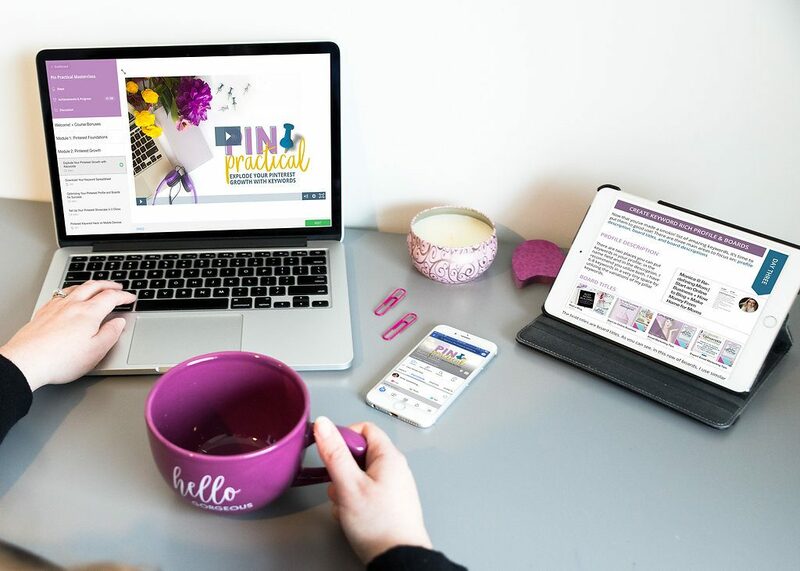 In Pin Practical Influence, we dive deep into 3 effective affiliate marketing funnels for Pinterest. 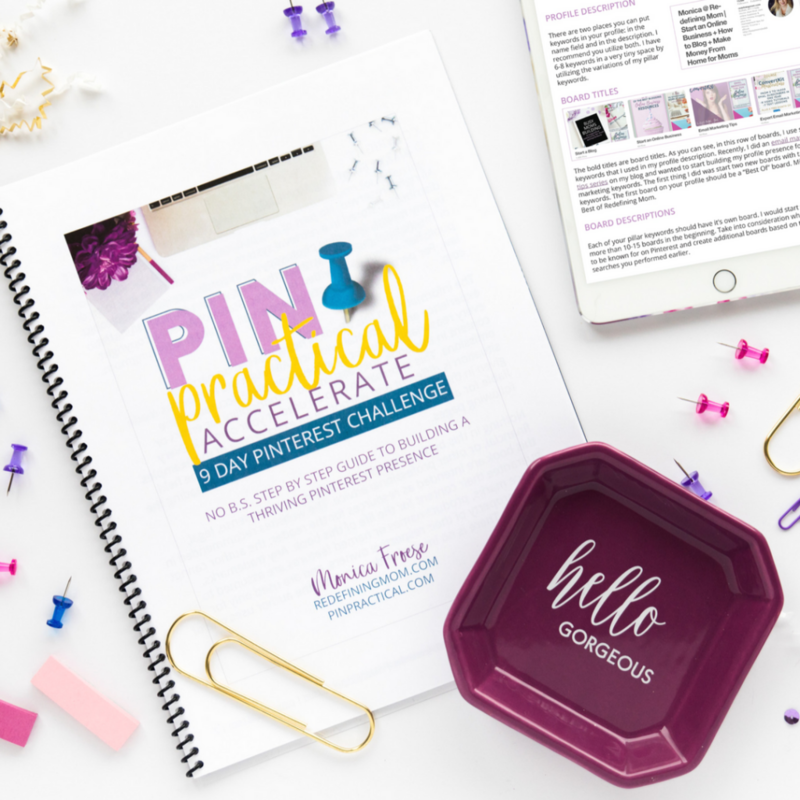 Pin Practical Promotions is a deep dive into promoted pins (aka Pinterest ads). Pin Practical Promotions is only open a few times a year for enrollment. If you’ve missed the current enrollment, I have a “101” version available that you can buy right now. Do you want a shortcut to the front of the Pinterest line? 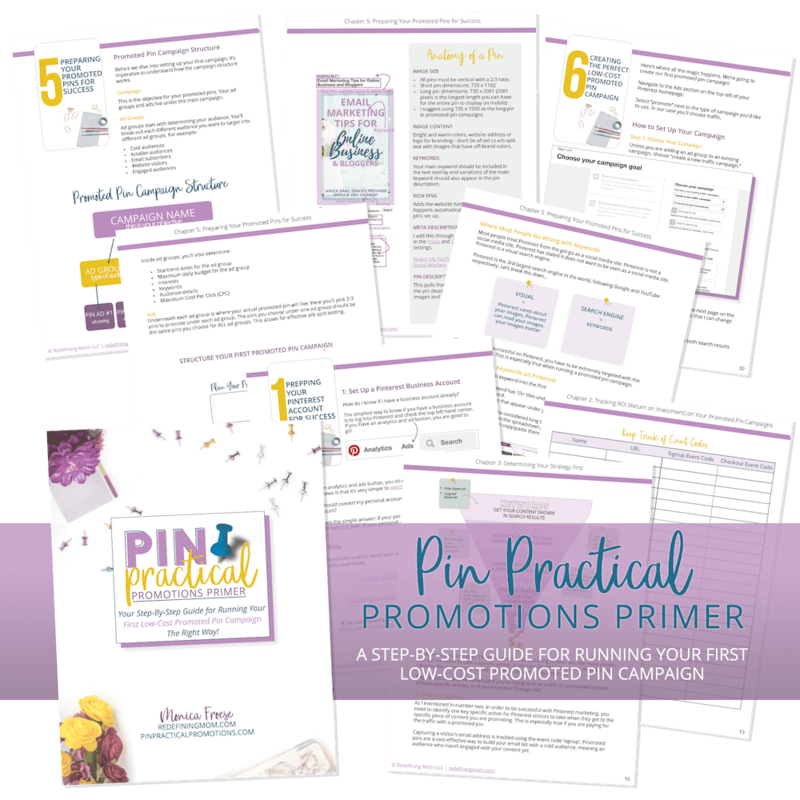 I’ve put together a 40+ page promoted pins primer to help you do just that! 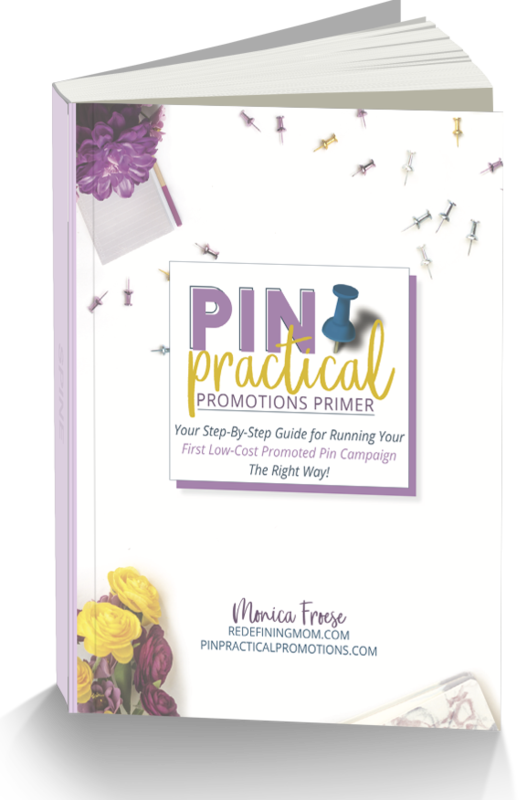 Pin Practical Promotions Primer is a straightforward guide and the perfect “101” guide for getting started with promoted pins. Short on time? Are you looking for a quick way to make beautiful Pinterest images in just a few minutes?? 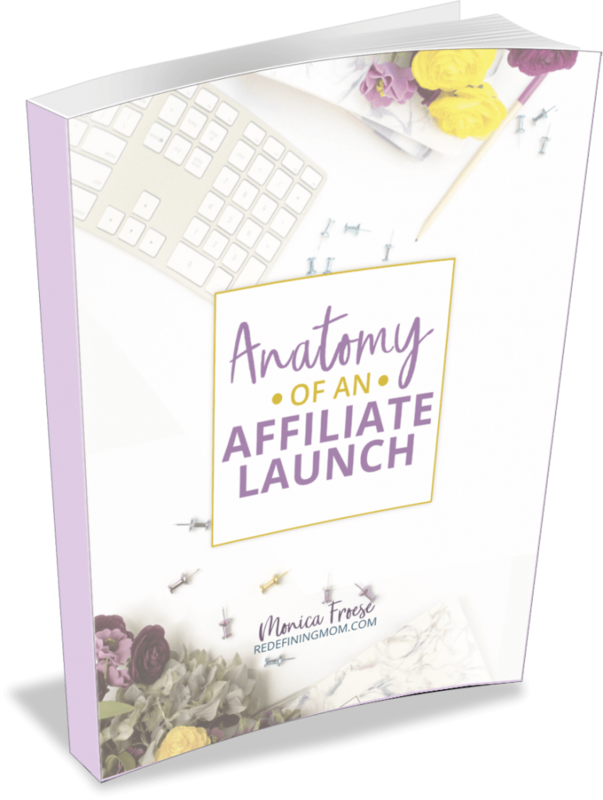 #7 Anatomy of an Affiliate Launch: An Insider’s Look Into a $9,000 Affiliate Launch! Launching isn’t just for your own products. 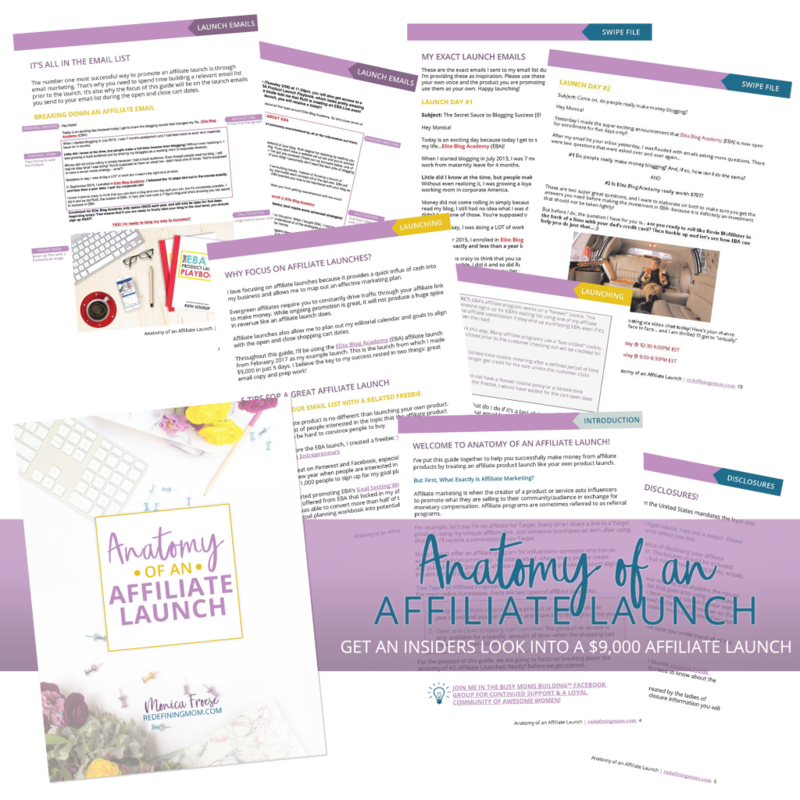 There is a lot of money to be made by applying launch strategies to affiliate launches. All of my eBooks together in one bundle for one low price! 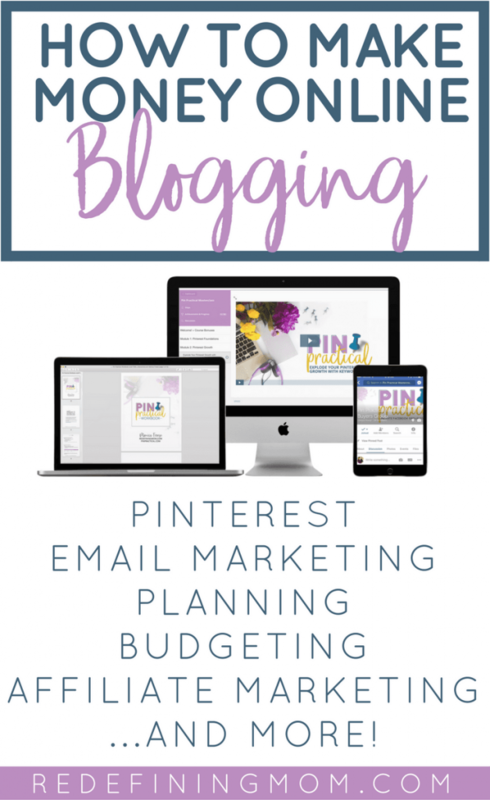 Running an online business or blog is a lot of work. Keeping accurate records from the beginning will save you hours of time! 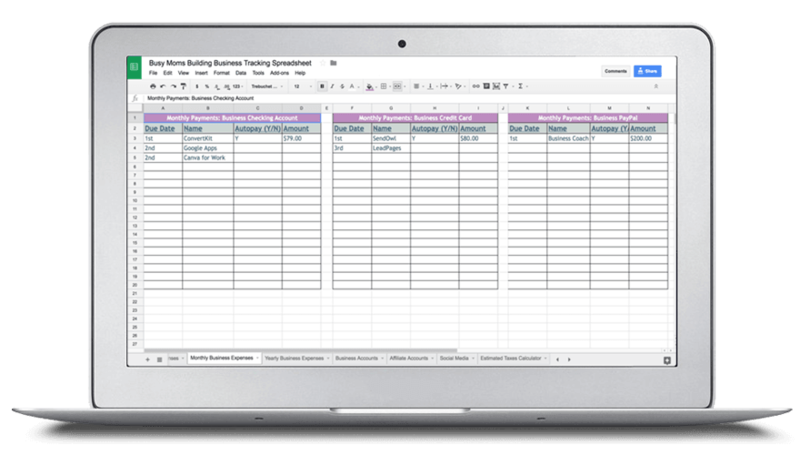 The Busy Moms Building tracking spreadsheet is a business tracking system for use in Google Sheets (or convert to Microsoft Excel) with a 12-minute instructional video. Plus, you’ll receive a bonus on how to use Zapier to automate your business. Are you ready to take control of your family finances in as little as 30 minutes a month? A family-friendly budgeting system for use in Google Sheets (or convert to Microsoft Excel) with a 22-minute instructional video. Eliminate overwhelm from bill paying every month! Get your budgeting chaos under control! Easily project out your cash flow for 6 months, a year, two years, or more! Know where you stand financially 365 days a year! Never miss a bill again! Gain back hours of time spent on bill paying every month! Did you know? 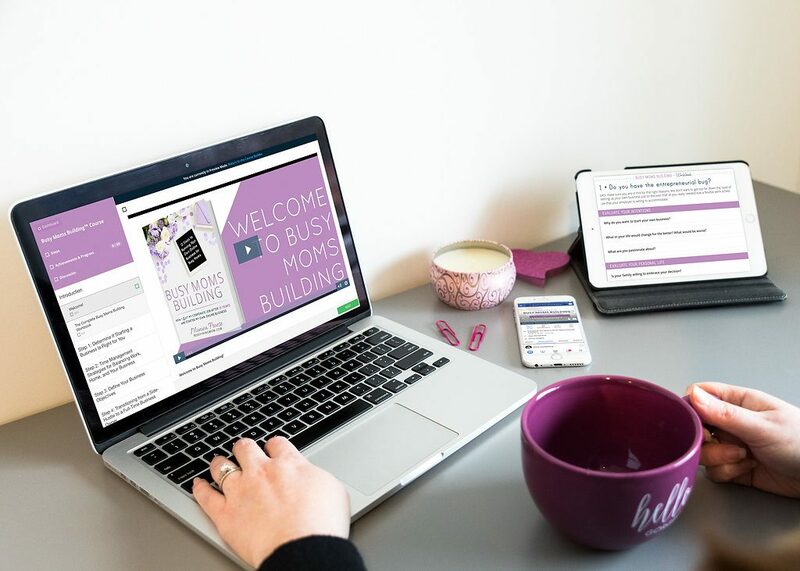 The Busy Moms Building course includes both my business tracking spreadsheet and the easy budget spreadsheet for families!